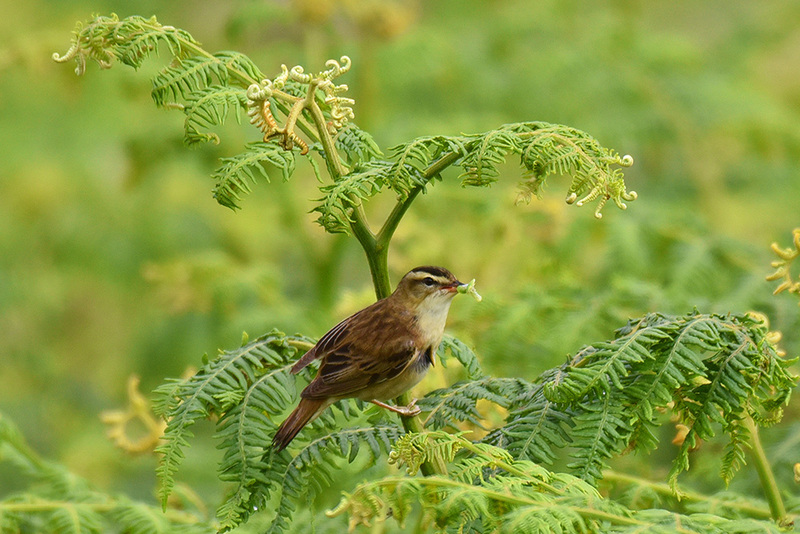 Spotted from the road between Port Charlotte and Portnahaven on the Rhinns of Islay, a Sedge Warbler with some food in its beak sitting on some bracken. This entry was posted in Cloudy Weather, Landscape, New Post, Wildlife and tagged Islay, Rhinns of Islay, Sedge Warbler by Armin Grewe. Bookmark the permalink.